Anyone who’s worked on a digital project like a website or an app knows it’s very much a work in progress. There’s the initial launch, of course, which is typically followed by a never-ending evolution: updates that introduce new or improved functionality, design changes and other enhancements. 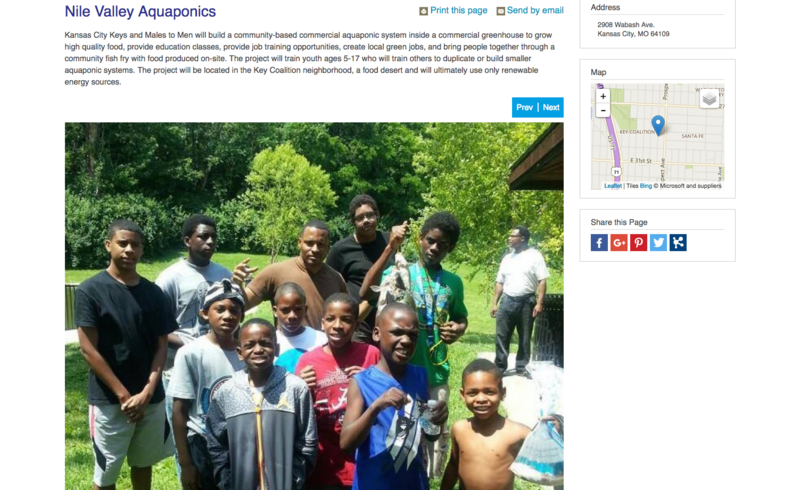 Since CommunityKC launched at the third annual Community Development Workshop in early 2015, the community project tracking website has steadily marched down a path of transformation. It all started with the realization of an opportunity. Local architect Ashley Sadowski, introduced to the CCF team by Greater Kansas City LISC, also was interested in some sort of community mapping. Along with Code for KC volunteers led by Code for KC Brigade Captain Paul Barham, Sadowski and Wilson dove into what would be a fast-paced project timeline that spanned just about five months and included focus group feedback and prototyping. The project team debuted the initial CommunityKC site at the Community Development Workshop, an annual educational and networking opportunity founded and organized by CCF. During the workshop, a well-caffeinated team of volunteers gathered for real-time data entry as workshop attendees provided details about neighborhood projects to include on the site—90, to be exact, according to Wilson. Silas Covert-Keefe is an AmeriCorps Vista member who’s currently working with CCF. His primary responsibilities include helping to develop CommunityKC and also spreading the word about the site to community and neighborhood groups, as well as other potential users. Equipped with a PowerPoint presentation, Covert-Keefe includes project example slides that he swaps out depending on the audience, as well as detailed information about how to use CommunityKC. That combination of technology and in-person outreach has proven to be an effective source of energy and involvement for neighborhood groups. And for those looking to get involved with a particular neighborhood group or project, CommunityKC can serve as an ideal starting point. Thanks to functionality like keyword searches, social sharing and volunteer forms, CommunityKC has become not just an important information repository, but also a resource that helps encourage and facilitate wider community involvement. And for neighborhood groups that are often strapped for resources, CommunityKC can give them a digital presence that they might not otherwise have had. “A lot of time these organizations might not have a website, let alone information about specific projects, so inclusion on CommunityKC gives more credibility to the project and the organization’s work,” Wilson says. And because each project includes a dedicated URL, organizations can use the link to keep members and stakeholders up-to-date, as well as encourage participation. Just as important? The site is a source of positivity for neighborhoods that continue to fight negative perceptions. 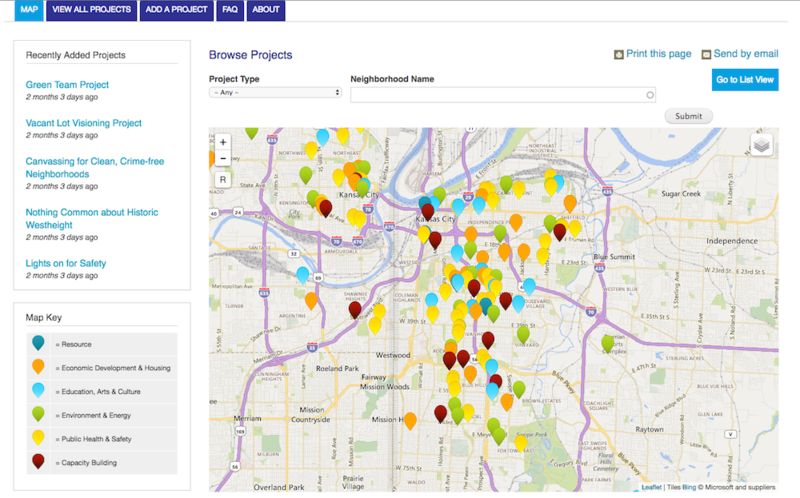 If you’ve involved with a neighborhood group, be sure to check out CommunityKC and list your projects if they’re not already there. And if you want a firsthand look at new site changes, mark your calendar now for the 2017 Community Development Workshop, to be held on Feb. 11. Get more details on the workshop here.